Head over to Kmart for this fantastic deal! 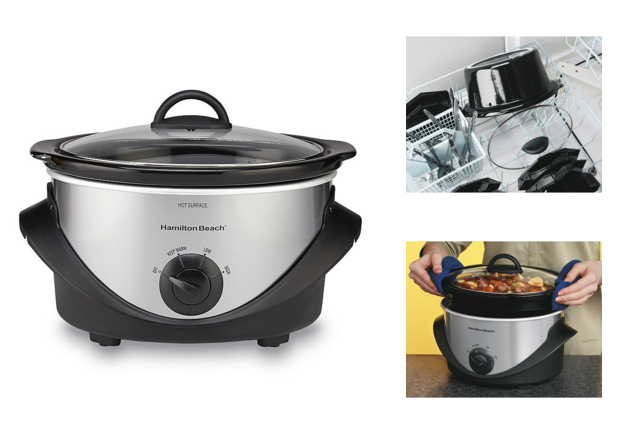 Order the Hamilton Beach 4-Quart Slow Cooker for Just $9.99! (Reg. $32!) Shipping is FREE on orders of $35+ or opt for FREE in-store pickup! The Hamilton Beach four-quart slow cooker makes delicious meals easy, with little planning or preparation. The four-quart oval stoneware is compact, yet large enough for a four-pound chicken or a three-pound roast. You can also use the stoneware in the oven or microwave. Just add your ingredients and walk away!